Welcome MEMBERS – LOGIN BELOW. Then use the login & navigation tab at the top of the page to reach the page you want to use. Once you are on your page there will also be a side navigation bar if you are using a computer. You will know you are logged in when you see the WELCOME message in different languages. Important: If you click on LOST PASSWORD and do not receive a new password within 15 minutes please e-mail us at: CustomerService@TheBEarthInstitute.com. PLEASE provide the username and password you are using/want to use when you e-mail us. If you already logged in an ended up back here just use the member drop down menu above to navigate to the page you want. Not Registered in the System? If you are not yet registered on the website you can register HERE. Also keep in mind that any time your purchase a product you become automatically registered on our website and you receive your product instantly. If you ordered a curriculum package you will log in to your account using the username and password you chose at checkout. You will then be able to navigate to your purchases. Welcome to the new website! If you see the pretty “welcome” picture above after you log in then you are logged in. If not, then you need to use the “Forgot/Lost” password link above or contact us at: CustomerService@TheBEarthInstitute.com. 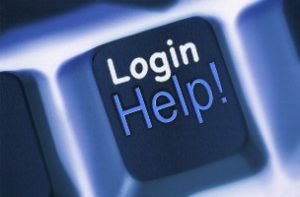 Please be sure to use the LOGIN HELP button above first before you contact us. The information we need from you can be found at that link.